Do you like painting? I will be the first to tell you – I HATE painting. Don’t get me wrong, I love the results, but getting there is a major pain. While painting is much faster for us with the HomeRight PaintStick EZ-Twist, it is still very time consuming. With how impatient I am, I can’t even IMAGINE using a traditional roller again, especially with how much we have to paint or re-paint in our home. When I heard that HomeRight had a tool that could put a gallon of paint on the wall in less than 10 minutes, I can honestly say I was already sold. With us planning on finishing painting our master bedroom, as well as repainting our kitchen this year, this sounded perfect for two lazy geeks homeowners like us! HomeRight Pro Electric Paint Roller: What is It? Looking for a way to make painting faster and cleaner? If so, we think you will love the HomeRight Pro Electric Paint Roller. With this innovative roller, you can apply one gallon of paint in less than 10 minutes, drastically cutting down on overall paint time. 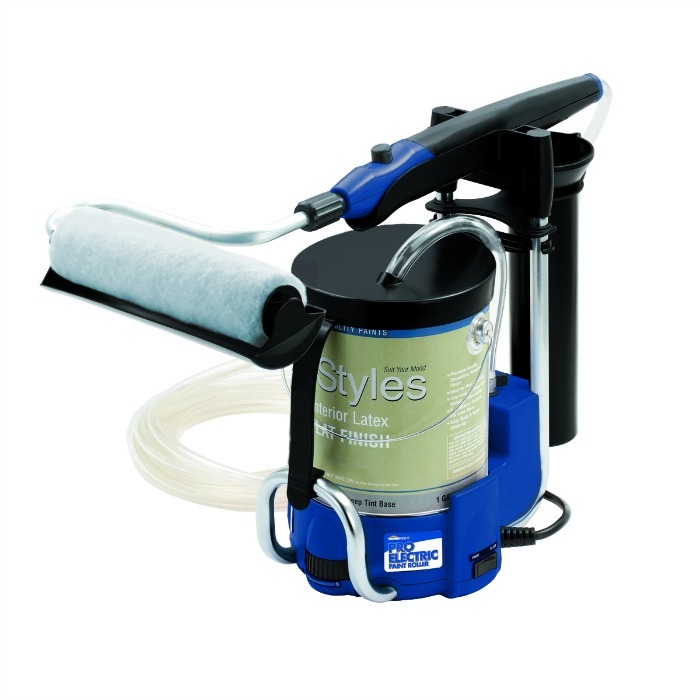 What this machine does is pump paint directly from the paint can into the roller interior container system, which allows you to pain without spilling or dripping any of the paint, allowing you paint a wall quickly without any mess. Any paint that isn’t used is also pumped back into the paint container, making sure you don’t waste any paint (something important since good paint isn’t cheap). As well, the system comes with a roller keeper for storing wet rollers overnight, allowing you to quickly get started again the next morning. 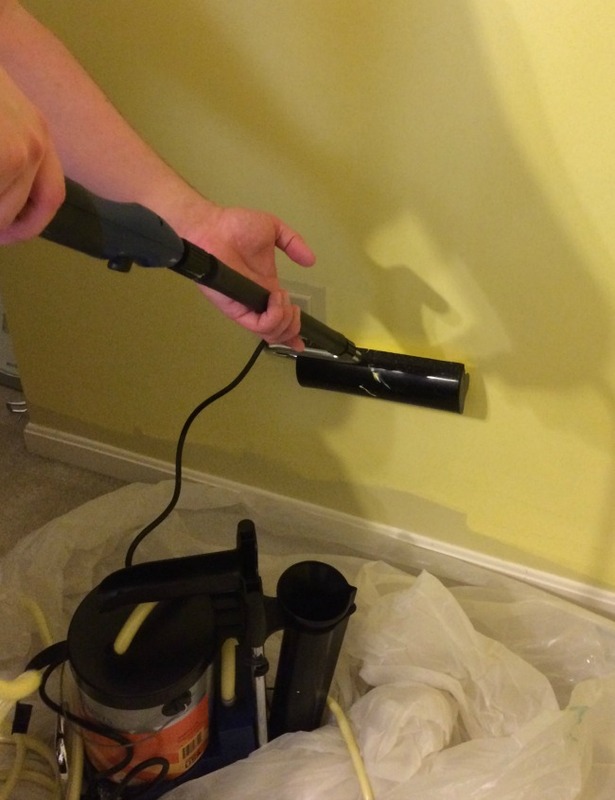 For jobs big or small, you can make painting as effortless as possible with the HomeRight Pro Electric Paint Roller! So far, we are quite impressed with the HomeRight Pro Electric Paint Roller. It is very easy to set up and it makes painting very efficient and fast. This can unfortunately, be a downside if you aren’t prepared since it can pump out paint very fast. For example, we painted a quarter of our bedroom in under 5 minutes and were having to very quickly move as we were learning how to use this paint roller. While we may have had the flow a bit too high at first, we were truly amazed at how quickly it painted. Now, we are just waiting for the first coat to dry to see what we need to do next. To say the least, I can easily see this tool allowing you to put the first coat of paint on a room in less than hour, including moving furniture and touch up. It really is a major time saver for homeowners, and perfect for people like us who aren’t used to painting. Based on our own experience, we are happy to give the HomeRight Pro Electric Paint Roller an A rating! Want to purchase this awesome paint roller for yourself? You can buy the HomeRight Pro Electric Paint Roller on Amazon.com or the HomeRight website. While the suggested retail is $109.99, you can currently get it for only $39.99 from HomeRight directly with their current sale, so make sure to take advantage of this awesome summer offer for your summer paint projects! I still have Paintstick materials from years ago when we painted our office. I remember being amazed by how much faster and easier it was than a regular roller and pan. I always hated those! We need to do an overhaul of the whole house and this would be awesome for getting it done quickly! I really appreciate reading your review and decided I just needed to go in and order me one since it was at $49.99. Now I am excited for it to arrive. Thanks! Oh how I need to paint!! I was not looking forward to it. I don’t think I would mind it as bad with the Homeright Pro Electric Paint Roller. Seems like it would be a great investment! This would make the job much easier. The actual painting isn’t too bad. I can’t stand edging. You have to be so precise. I would love to have this ! It would make my job so much easier. I am currently in the process of repainting my whole house and only now that I have started do I realize how much work it actually is. With this, it would be a lot less time consuming, maybe even enjoyable. I want a painting system that is efficient and fast. My husband wants to do some remodeling and he is a DIY er so this would be a great gift for him. This makes painting a whole lot easier. I love to paint, though. Anything to help me out is so much better. This is a great product and make painting much faster and convenient. My dad is considering repainting and this would be perfect for him! I am loving how easy and simple this machine is to use and follow.. Great review and love all the pictures. We have alot of painting to do at our house. I alway hate the mess. I really hate having to dip the roller in the roller pan. This sounds great to me. I love the roller storage so I could put it up until the next day and start again. Thank you so much for sharing this great product. I really don’t like painting. When we first moved into this house about 10 years ago, I painted the kitchen and the teen’s bedroom…twice now…and now we really need to paint the front room and the bedroom. This electric paint roller would really make this tedious chore go quicker! I sure would love this product. It would make painting my bedroom so much easier. My only concern is can you attach a pole to reach higher on a wall or to paint the ceiling. Awesome review! I have indoor paint jobs coming up after the kids get back into school. This sounds like a great product and definitely a time saver! We have several rooms to paint in a home we just purchased. This would be awesome! OK, there’s a lot of stuff on the floor there – was it worth moving it all through the room as you painted? I have to say if it cuts down the time I’m leaning towards it! Geez, I think I need this because my wall colors are not at all what I would have picked but it was there when I moved in…and I rent. Oh gosh, I wish I had had that when we did the living room (oh my back! ); I still have the kitchen and den to do though! This is a fantastic idea.Having bad hands,painting is difficult,but this looks very easy to do.I can do it myself.thanks so very much for sharing. Wow this sounds awesome! We definitely need to repaint, but keep putting it off because it takes so long to do. The sale price is pretty awesome as well. Thanks for sharing! My husband has NO idea how to paint a wall, and I have a torn rotater cuff in my right shoulder, so the act of painting a wall with a brush – having to keep reaching down to get paint on the brush and the constant up and down painting motion – makes it hard for me to do. This would be perfect for us. I might actually get some walls painted that are way past when they should have been done. I hate painting too and would try anything that would make it go faster. This painting tool sounds amazing and I would love to try it. This would be awesome if it worked as well as it looks. Painting is such a pain, and I love to change paint often. I would love to have this. I hate painting too… but this makes it look easier and a little more enjoyable. ..
We had one. The only problem is cleaning the tubing. May need to soak the tubing over night. This would make painting our dining room so much easier!!! Maybe we’d get the living room done too! This seems like a really awesome product! My mom is a contractor and I bet this would help relive the terrible achy pain in our arms when doing painting jobs! I have had so many painting fiascos over the years…mostly involving the hubby stepping in the paint roller tray….this eliminates that problem all together! Wish they’d thought of this YEARS ago! Thanks for the introduction to a product that will save my sanity as we prepare to re-do the house!! The HomeRight Pro Electric Paint Roller sounds like it could really come in handy, but I might be concerned with the flow of paint if you’re not so fast!! The HomeRight Electric Paint roller sounds awesome. I have back trouble and I think I could paint with this. It sounds like it would make a tough job much easier. Hubby and I have painted with traditional paint rollers and it is hard work. This electric paint roller looks amazing. I’ve been wanting to paint my bedroom and this would be so much faster. I like that it has a roller keeper so the roller doesn’t dry out to continue painting next morning. This pro electric paint roller would work wonders for painting my rooms in my house. It would be much faster and easier than trying to hurt my back. Thank you for the review. This would take less time. I would love to win this so that we could paint the interior of our house. This would save us time, money and paint. This would make painting my room so much easier. I’d like to do a drastic color change which would include having to prime. Three coats between paint and primer would take forever the conventional way! I really want to paint my apartment and this sounds like such a great product! I like that you can change the speed of delivery of the paint to the wall and that it recycles the paint back into the can. This would be so nice to use and it’s at an affordable price. 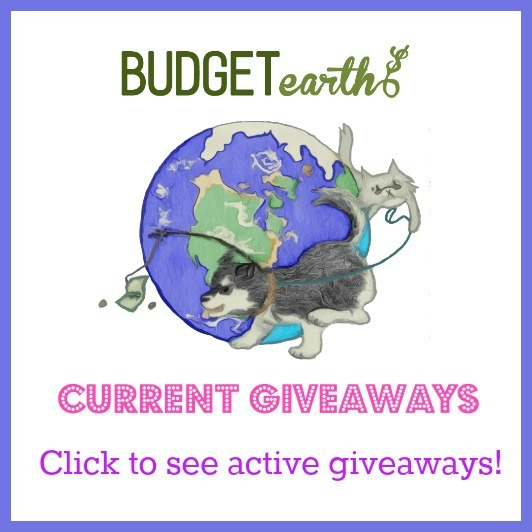 Thanks for the review… this is amazing and I would love to try it out! I need to paint the house AGAIN. Every time I paint I tell myself I will hire someone to do it, but if they have this electric stick on the market that puts a gallon of paint on a wall in roughly 10 mins, I’m willing to do it again. Big price difference getting from Home Right. I like how easy this would be to use, would make painting fast and fun. Nice that it has a roller keeper. 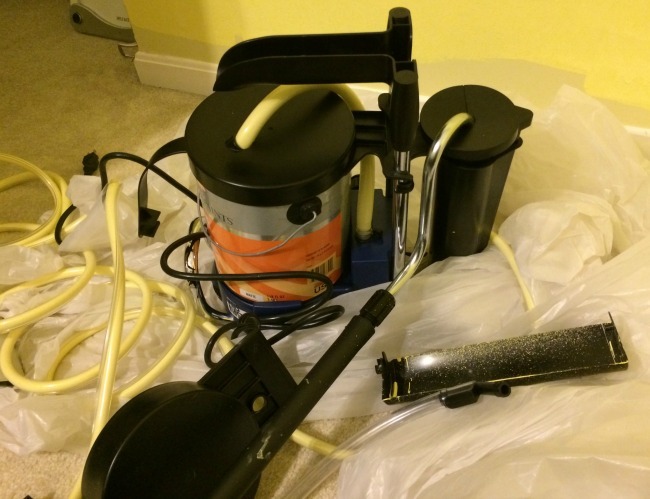 One of the biggest selling points for me is that the Pro Electric Paint Roller pumps the paint right from the can – eliminating the mess of transferring! It is very time efficient and easy to use. This is a very great painting system. As a former handyman, I recommend this and give thumbs up on the system. This is really cool and such a great ideal. I like how it’s not as messy. This would make painting go a lot faster. This paint roller looks very useful. Thanks for sharing! A gallon of paint in 10 minutes. Impressive! We need this. We could get our whole house painted in one day with these results. What a wonderful product. It really is fantastic.Anything to get the job done faster and easier, I’m all for. I never heard of or have seen an electric roller – boy oh boy, I’ve been seeing homes for sale that need every room painted – and with multiple coats – this would make it so much easier and a nicer result, too! Great post! I prefer a sprayer that can handle a 5gal bucket, but this looks great for little projects. Thank you so much for this very informative and helpful review ~ I only wish I’d seen it last July when we could have taken advantage of that $70 savings in buying one ($109.99 is kind of out of reach on our very tight budget!) But we need to do SO much painting in our very old and very big fixer-upper ~ one (or TWO!) of these would be a godsend ~ inside-out and all around! Thanks! I need to get this before I paint again. Thank you for the review.